You may well find your Mac is taking longer to start up and shut down, and lengthy spinning-beachballs-of-wasted-life shows almost certainly mean your Mac is struggling with memory space. There is a quick way to check how much thinking space your Mac has: got to Finder > About This Mac > Storage. There are varying opinions on how much space you need on your hard drive for your Mac to function normally but in our experience, less than 20% space and we start to notice compromised performance. Less than 15% and software may start crashing or hanging – especially big files in Photoshop. Your memory consumption is broken down in a coloured bar showing how much of your Mac’s hard drive is being used and how much space is available. The space consumed by software, your files of music, movies and the like, can all be managed by good file management and archiving to external drives files you don’t need on your Mac. Chances are, though, a large part of your memory is occupied by the mysterious, blue ‘others’. This comprises the notes your Mac writes to itself in the course of your file management. You may have found that if (ok, when) your Mac crashes, it often recovers with little or no loss of data from the files you were working on – that is because it makes a lot of notes in the background. You cannot see these or delete these in the Finder and over years, your Mac ends up with a lot of these digital post-it notes cluttering up your hard drive. 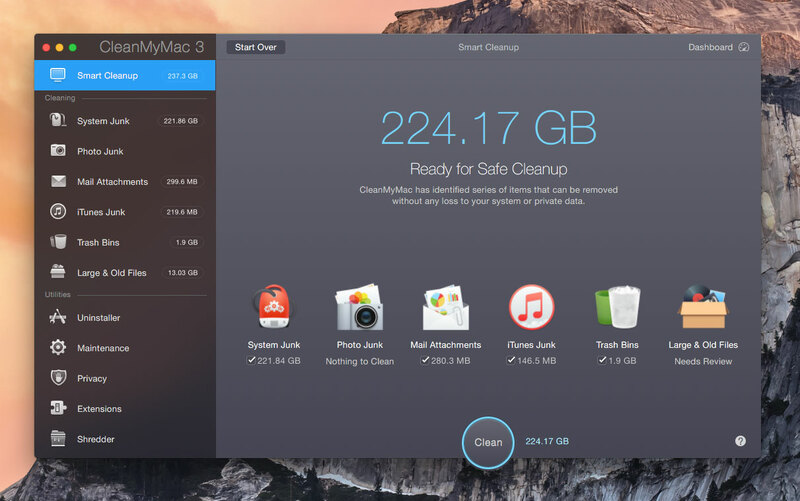 This piece of software: Clean My Mac, is a very handy tool that allows you to clean your hard drive thoroughly. In free demo mode, the app will tell you how much space it can clear on your Mac and you may think it offers so much space back it is a scam. Certainly, when I first ran Clean My Mac on a 500Gb MacBook Pro running on less than 10% free space, it indicated it could clear more than 50% of the hard drive and I was sceptical. But modestly priced and a lot quicker than a complete hard drive wipe and re-install, I gave it a try and it did exactly as it had promised. Note, we have no affiliation to this software, we get no commission if you click through one of our links and buy this product, we are promoting it because we love it. Go take a look at: Clean My Mac. Clean My Mac is one of a number of apps that will recover lost space on your hard drives without you actually having to do any tidying up yourself, a tiresome job we would all rather avoid. However, these spring clean apps only delete files they recognise as being disposable. If your hard drive is filled with software and your work documents, there is only one way to clear space and that is to go through your data and move it off your hard drive. Similarly, years of emails, with downloaded attachments, take up space. Clean My Mac scans for the space taken up by such utilities and helps you pick and choose what you can delete. At Graphic Violence, we keep all our active and archived work on external hard drives. This keeps the data stored on our computers to the bare minimum and we can wipe clean and reinstall the operating system without having to shuffle all our work off first. When a spring clean app can’t restore your Mac’s youthful performance, the hard reset is the ultimate clean up. Graphic Violence can come round and clean your Mac for you in your home or office, and advise you on how to keep it running efficiently, from as little as £180. Call 07970 181184 for a free consultation.